‘Neon Genesis Evangelion’, by Hideaki Ano, is a mecha sci-fi masterpiece. It’s the year 2015, and the world stands on the brink of destruction. Humanity’s last hope lies in the hands of NERV, a special agency sanctioned under the United Nations, and their Evangelions, giant machines that are capable of defeating the Angels who herald Earth’s ruin. Gendou Ikari, head of the organization, seeks talented and compatible pilots who can synchronize with the Evangelions, and bring forward their true and powerful potential. Inspired by Norse mythology, Ragnarok Online is a classic MMORPG that is beloved by millions of players worldwide. The mobile version of the MMORPG, [Ragnarok M: Eternal Love – SEA Ver. ], continues the legacy of RO by bringing in a modern touch to the vast and exciting world of Rune Midgard. A new crisis is about to fall upon Rune Midgard, and the five protagonists of ‘Neon Genesis Evangelion’ must cross the boundaries of space and time to protect the world. Adventurers will join these young heroes on this brand new journey! EVANGELION: 1.0 YOU ARE (NOT) ALONE – After the second impact, all that remains of Japan is Tokyo-3, a city that’s being attacked by giant creatures called Angels, who seek to eradicate all of humankind. Shinji Ikari receives a phone call urgently telling him to come to the NERV Headquarters, an organization that focuses on the destruction of the Angels through the use of giant mechs, called Evas. Shinji’s objective is to pilot Eva Unit 01, while teaming up with the Eva Unit 00 pilot, Ayanami Rei. Evangelion: 2.0 You Can (Not) Advance – When the threat of the Angels escalates, mankind’s defense force is pushed to its limits, with NERV at the forefront of the struggle. Shinji Ikari and his partner, Rei Ayanami, are assisted by two new pilots: the fiery Asuka Langley Shikinami and the mysterious Mari Illustrious Makinami. Evangelion: 3.0 You Can (Not) Redo – Fourteen years after the Third Impact, the Earth is a post-apocalyptic wasteland. Human civilization is in ruins, and all the people Shinji knew are now unrecognizable. Trapped inside Evangelion Unit-01, he is recovered from space by Asuka and Mari, only to find himself a prisoner of Wille – a military faction led by his former guardian, Misato Katsuragi. Cold and bitter, his former allies view him with suspicion and refuse to support him as he comes to terms with the consequences of his actions. The mobile MMORPG, Ragnarok M: Eternal Love – SEA Ver, published by Gravity Interactive Inc. and operating by Gravity Interactive Inc. & X.D. Global, has been a huge success since its launch and has gathered the attention of players from all over the world. The world of Rune Midgard is now under great threat – the Angels are attacking, and it’s up to our heroes Shinji, Asuka, and Rei to protect the world with the aid of the local Adventurers! Young pilots, it’s time to build your own miracle! The [Ragnarok M x EVA Collab Plan] starts on January 31st! Join Ragnarok M and build your own miracle with ‘Neon Genesis Evangelion’! About Ragnarok M: Eternal Love – SEA Ver. Ragnarok M: Eternal Love – SEA Ver. is published by Gravity Interactive Inc. and operating by Gravity Interactive Inc. & X.D. Global. 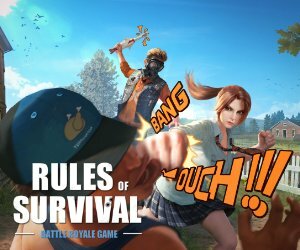 Since it’s launch, it has reached the top of both Android and iOS charts in SEA, helping it to gather thousands of players from many different countries. The ‘Ragnarok M: x EVA Collab Event’ begins on January 31st to February 28th! Start your journey and help in the battles between EVAs and Angels that are sure to never be forgotten!